Unlock Sony Ericsson Xperia Play (R800 R800a R800i) - Safe IMEI Unlocking Codes for You! Unlock Sony Xperia Play (R800 R800a R800i) Handset! In case your Xperia Play (R800 R800a R800i) doesn't ask for the code and there is no designated field to enter it, please DON'T PLACE ANY ORDER, contact us first for support. The Xperia Play is a great phone, but without being able to use it on any network, you may feel a little bit restricted. Luckily SafeUnlockCode can get your Xperia Play unlocked for a great price, and make sure everything is safe and secure whilst staying nice and easy to follow - even if you have no tech knowledge! It should take just two minutes of your time to get unlocked! You’ll then be able to use your phone in networks like AT&T, O2, Vodafone, T-mobile and dozens more across the world. Not looking to unlock the Xperia Play? You can always check our full list here to find a model you do want to unlock. We will need some information about your Xperia Play before you get unlocked. First, we’ll need the first 15 digits of your IMEI- this can be found by dialing *#06#. We’ll then need to know the network your Xperia Play is locked to, and the country it was originally bought in. Once you’ve collected this information, write it down for later and then proceed to check how many unlock attempts you have remaining. To do so, enter a new SIM card (different to your current network) into your phone and then enter the following keys once the emergency calls page shows-Menu, Back, Back, Menu, Back, Menu, Menu, Back OR dial *#*#7378423#*#*. The number alongside network will tell you how many unlock attempts you have left. If you have 0, you are all out of unlock attempts so DO NOT place an order with us! How to Unlock Sony Xperia Play (R800 R800a R800i) Phone - Tutorial! If you still have unlock attempts remaining- provide us with the IMEI, your Xperia Play’s country and network, and an email address so we can contact you with the unlock code. Once you’ve done this step, proceed to pricing and availability options and then go to the payment process. Once the order has been processed, you’ll be sent an email with the unlock code in, and once you have that, you can power on your phone (whilst it has a new SIM card in) and then enter your unlock code when it prompts you to enter it. Thanks for great help support! Thank you for your kind words Blake and for being our client. 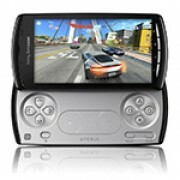 qual o valor de desbloqueio do xperia play r800a? quanto tempo me mandam o Código depois de efetuado o pagamento? tenho muita urgencia neste desbloqueio! segue junto o manual e suporte juntamente com a compra? abraço!